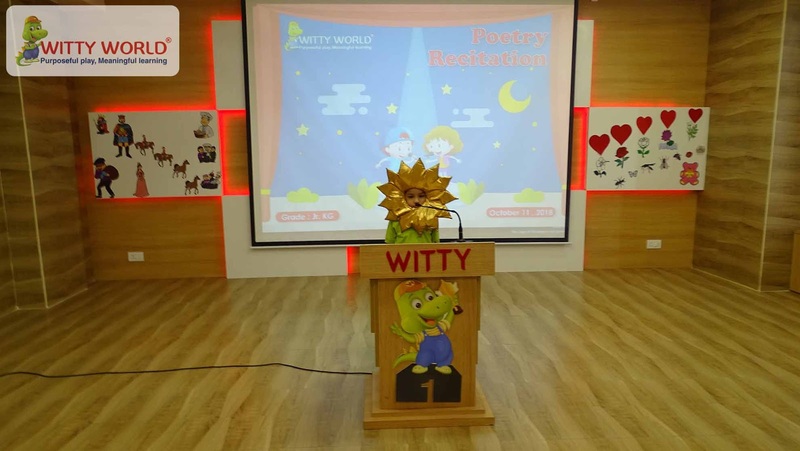 “Poetry is ordinary language raised to the Nth power. Poetry is boned with ideas, nerved and blooded with emotions all held together by the delicate, tough skin of words.” Some very famous sayings for Poetry starting from the birth when it is a new born baby, the mother cuddles him and sings lullabies and rhymes. 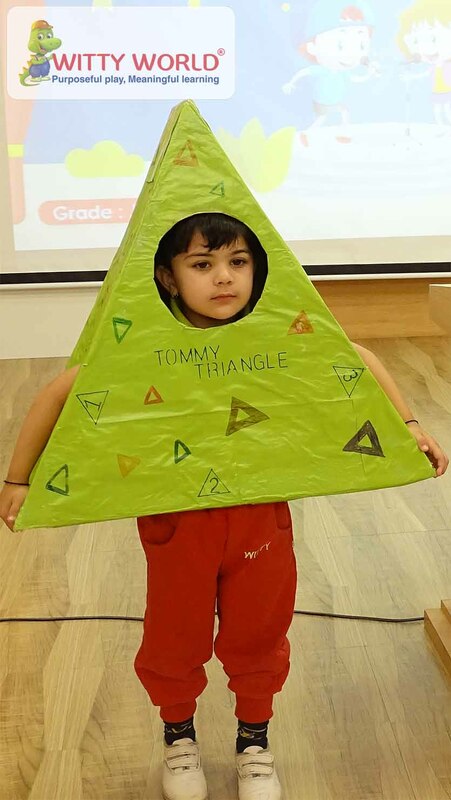 The baby reacts to it. After coming to a tender age of 4-5 year they can recite the rhymes by themselves. This is what Witty motivated in the little toddlers. 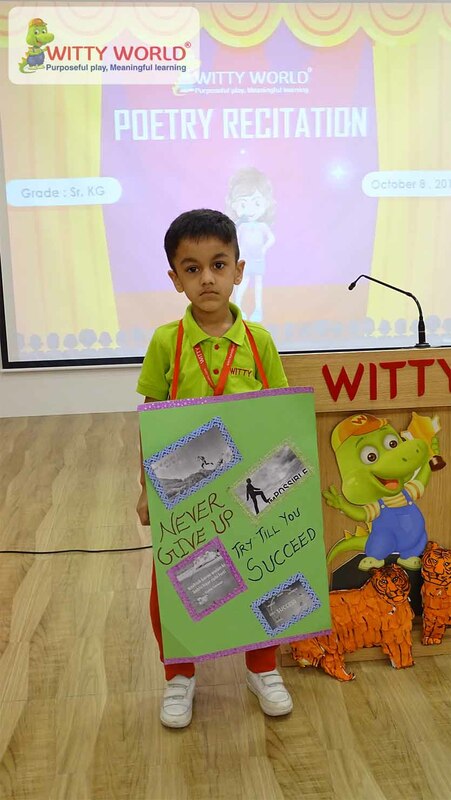 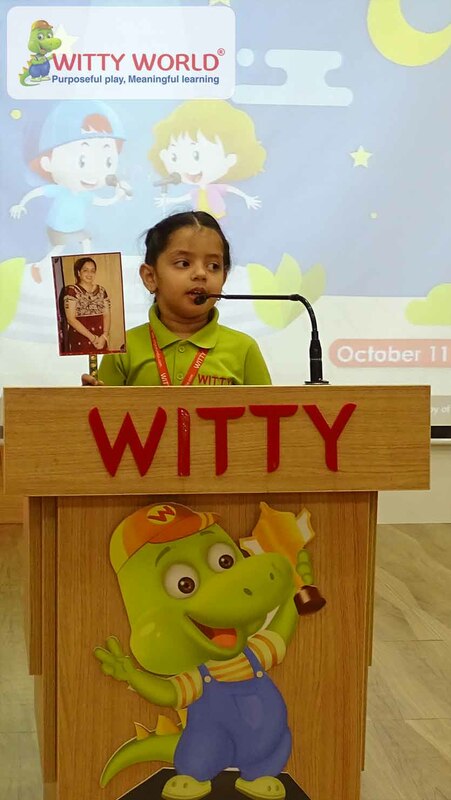 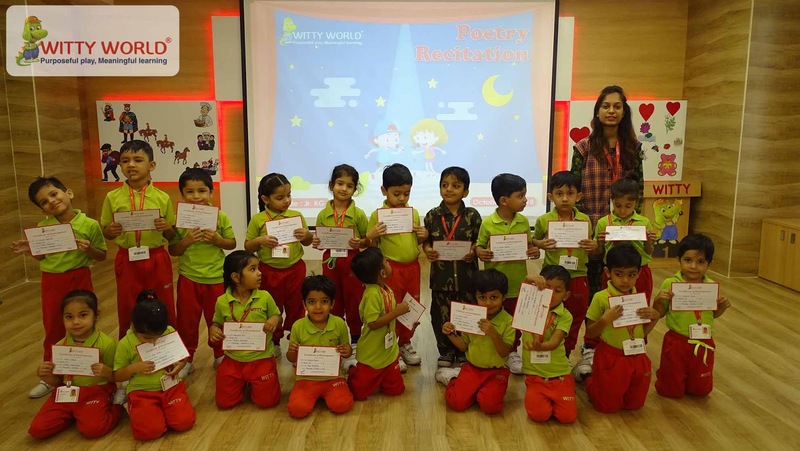 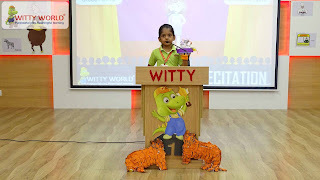 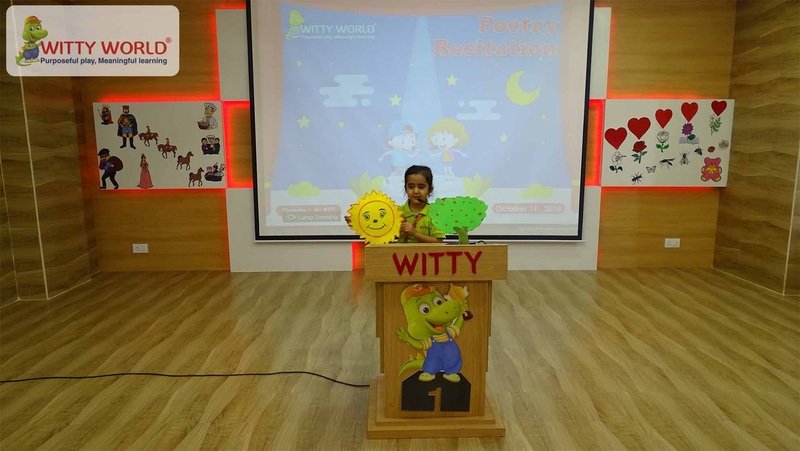 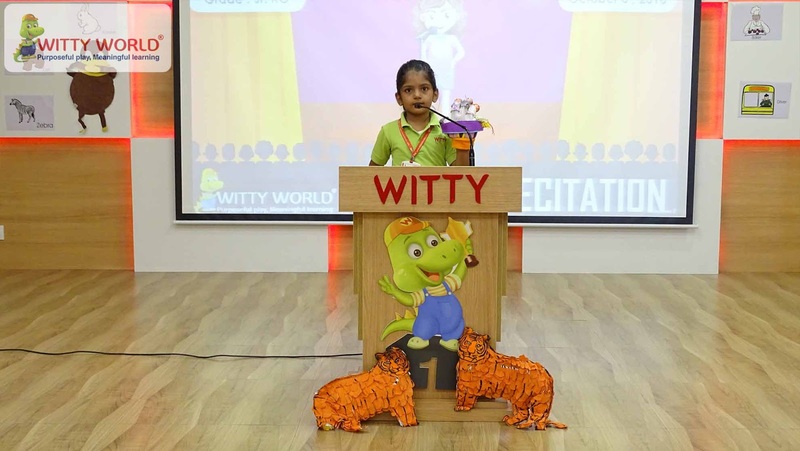 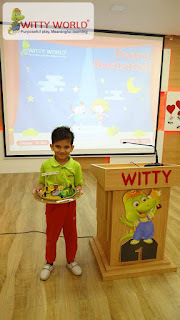 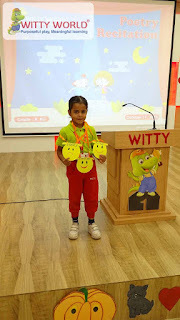 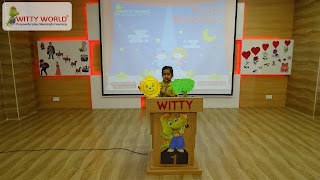 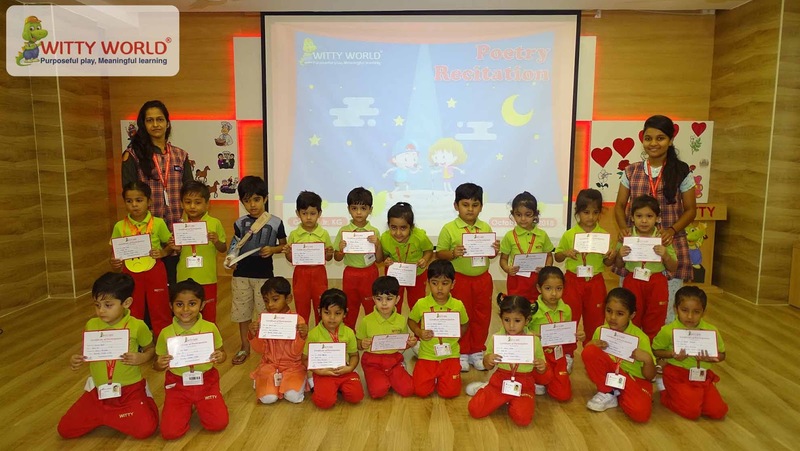 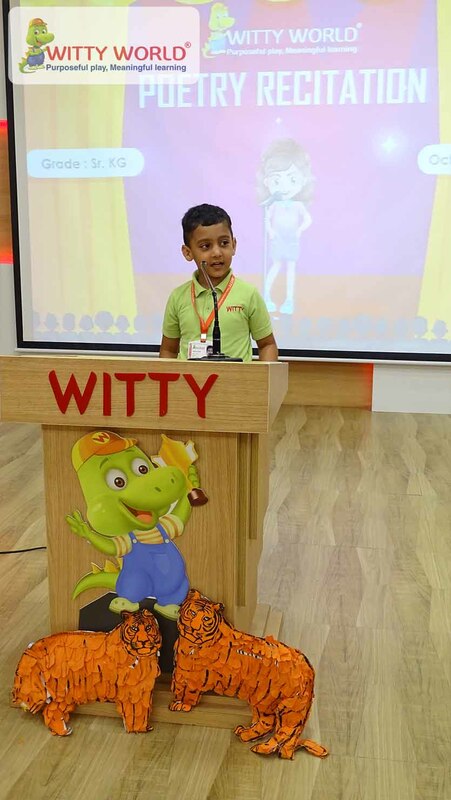 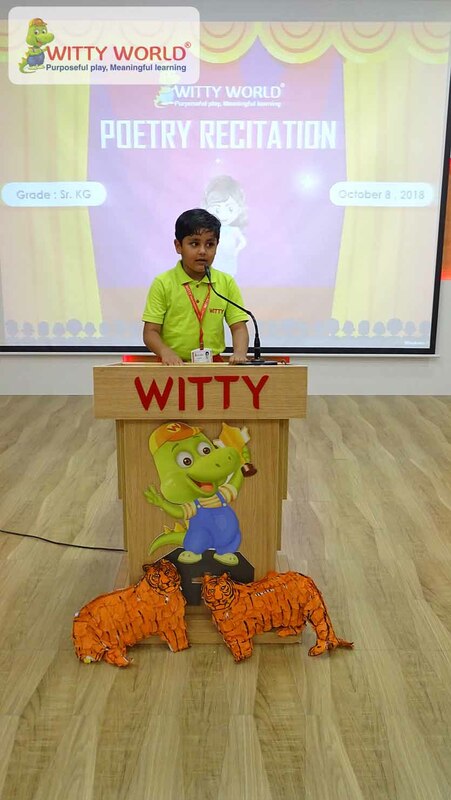 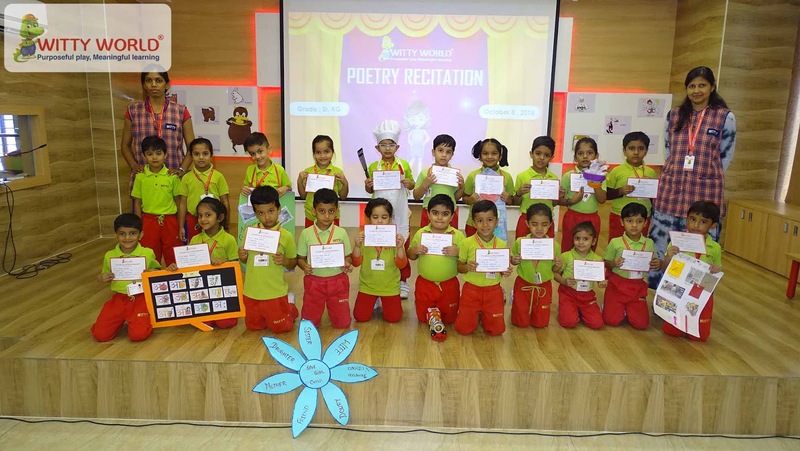 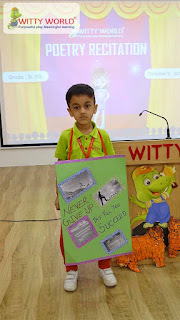 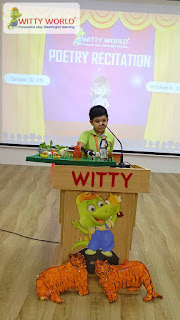 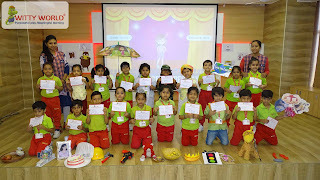 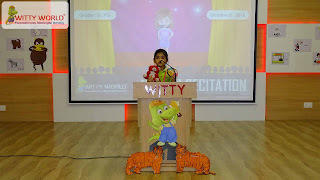 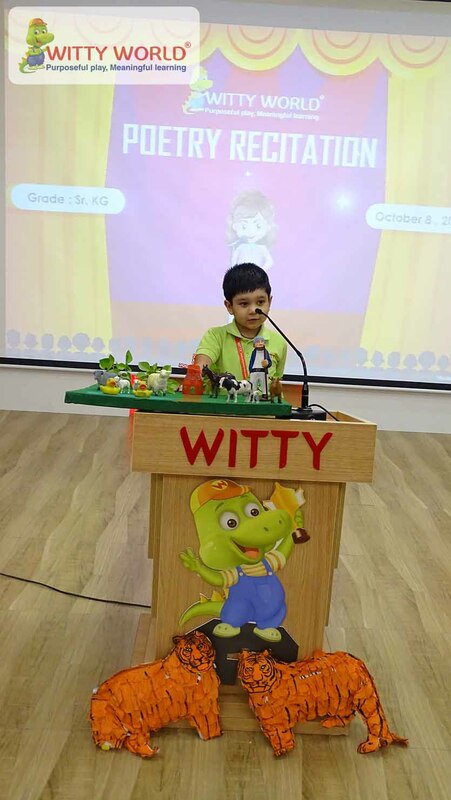 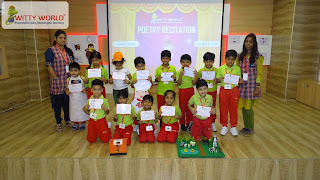 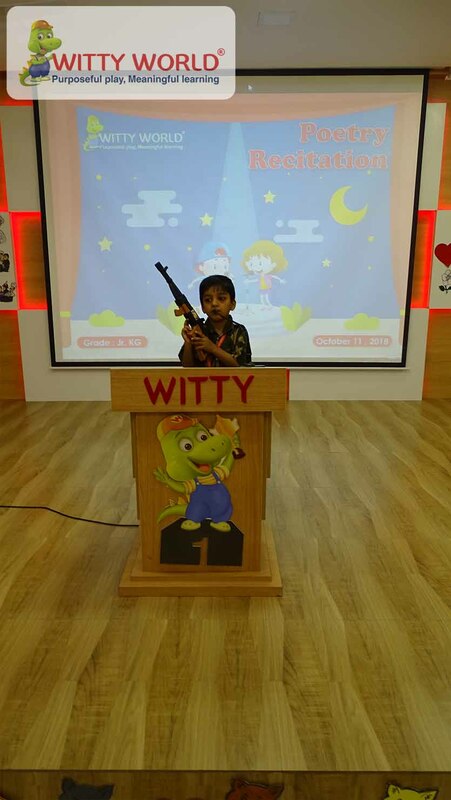 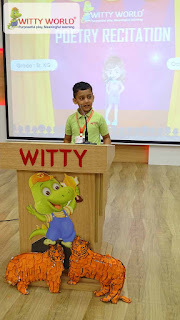 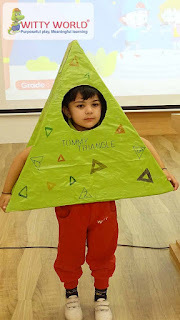 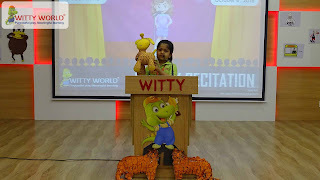 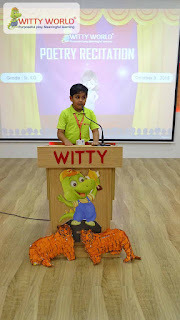 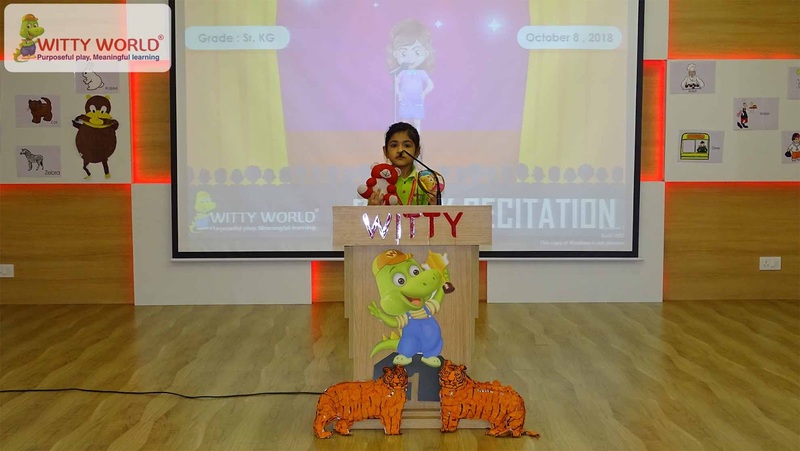 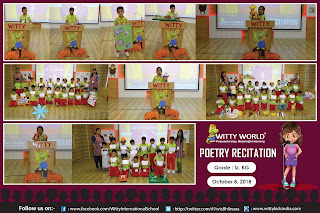 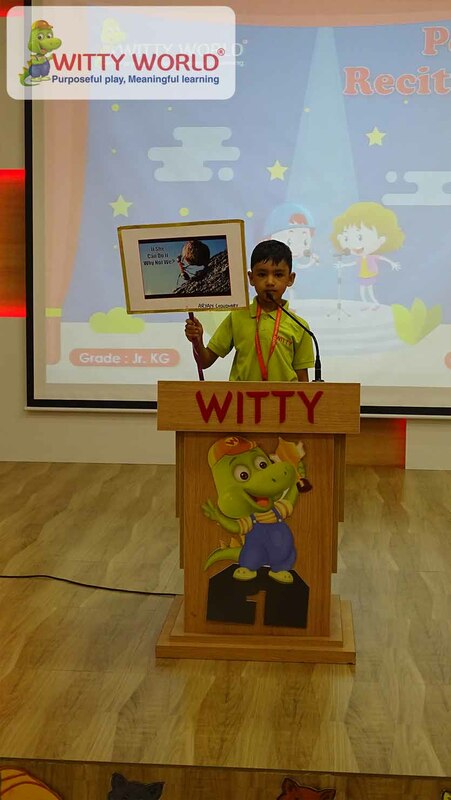 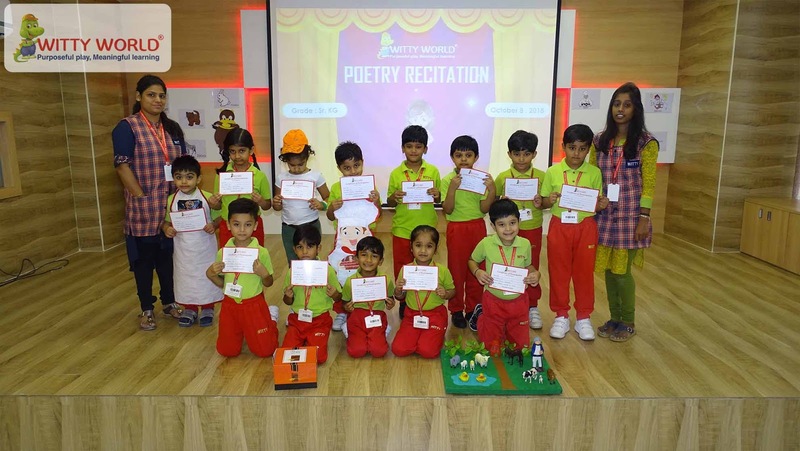 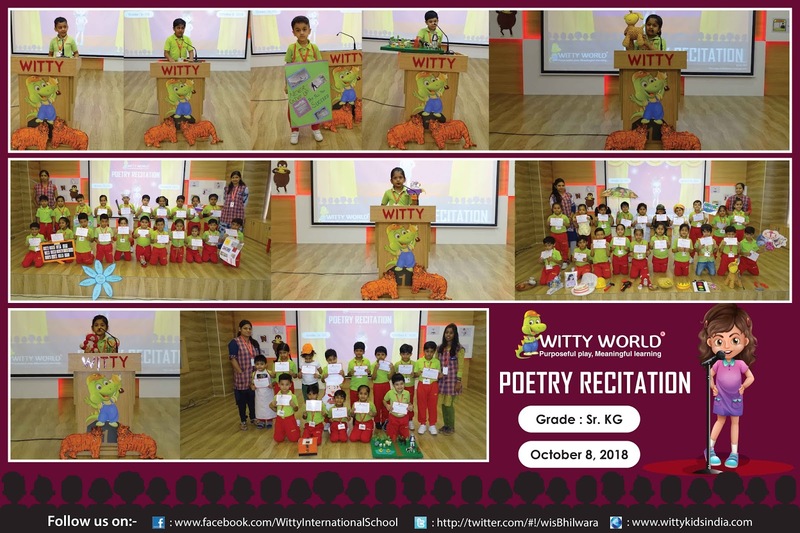 Witty gave platform to the kids of Junior KG and Senior KG at Witty World, Bhilwara on October 8th and 11th, 2018 to come up on the stage and recite a rhyme. 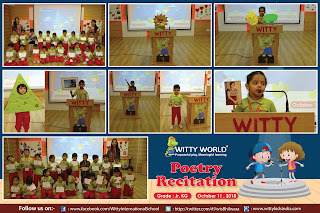 The wonders of Witty World proved themselves by reciting the rhymes amazingly and with props. 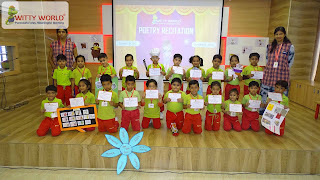 This was the time when they actually expressed themselves freely and enjoyed a lot.